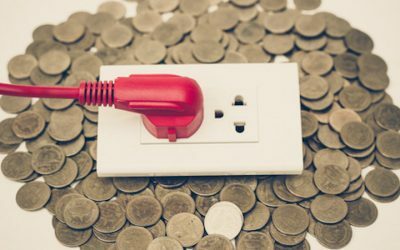 The Backup generator installation cost is a concern for many who are thinking about getting an emergency power source installed. Many people, especially those that live in areas prone to natural disasters, would like to get a backup generator. However, they hesitate to pull the trigger when they think about the amount of money involved. The benefits of installing a backup generator are many and varied and often justify the backup generator installation cost for those at high risk of suffering a power outage. These advantages are more extensive than you might realize; so, we have laid them out for you in this article. Some people think of backup generators as luxury items, but they can be lifesaving necessities. For example, a house in a frigid climate may lose electricity due to a severe snowstorm. If this happens, the homeowners will lose electric heating without a backup generator. A backup generator can prevent a life-threatening situation making the backup generator installation cost money well spent. Other essential mechanisms need to keep running, like sump pumps and septic systems. Some homes even have a water system that is dependent on electricity. In addition, some people have medical devices powered by electricity. Obviously, a backup generator would be essential in this situation. A backup generator could support other critical systems. For example, a home’s security system usually has a battery backup, but the batteries may run out in the event of an extended outage. This lack of power could be a real problem, as looting sometimes occurs in such situations. Though the worst probably won’t happen, if peace of mind is important to you, you should consider getting a generator to ensure safety. In times of hardship, such as during a natural disaster, it is important to keep spirits up. A backup generator can provide a means to do this. It can power a TV or computer to allow entertainment and communication. The morale boost from having a link to the outside world can be vital, especially in an extended power outage. Of course, you shouldn’t use a backup generator primarily for such luxuries, but doing do sparingly can have a positive effect. If you think you don’t need a backup generator, you might be right – up until the moment Mother Nature unleashes on your home. In the aftermath of Hurricane Sandy in 2012, some areas of New Jersey and Pennsylvania were out of power for weeks. As a result, the number of backup generator installations spiked, and today those homeowners are protected. Georgia is not immune to the possibility of a major hurricane; so, the thought of losing power for a long time is not outside the realm of possibility. To figure out the backup generator installation cost for your home or business, contact Bryan Electric. We are located in Alpharetta, Georgia and can be reached at (770) 680-2144. Our experienced and licensed technicians will be happy to answer any questions you may have, whether they are about backup generator installation cost or any other electrical job.